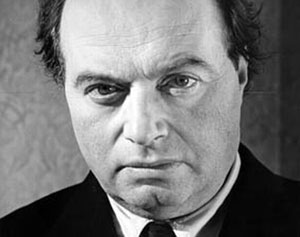 Writer Franz Werfel (1890-1945) had no Armenian connections whatsoever, and probably he was little known among Armenians until his novel The Forty Days of Musa Dagh turned him into a world celebrity at the age of 43. Born in Prague, which was then part of the Austro-Hungarian Empire, to a wealthy Jewish family, Werfel was educated in a Catholic school. He published his first book of poetry in 1911. During World War I, Werfel served in the Austro-Hungarian Army on the Russian front as a telephone operator. In 1917, he left the army and moved to Vienna, where he fell in love with Alma Mahler, widow of composer Gustav Mahler and wife of architect Walter Gropius. Mahler divorced in 1920, but she refused to marry Werfel for the next nine years. Meanwhile, the latter became one of the well-established German and Austrian writers by the end of the 1920s. In the winter of 1930, Werfel and Alma Mahler made a trip to the Middle East. In Aleppo, they met a group of Armenian children working in a carpet factory. He was told that they were orphans. On his way in Lebanon, he heard the story of the seven villages of Musa Dagh. The plot for a future novel started to thicken in his mind. During the next two years and a half, the writer researched feverishly to write a novel that would become the most popular literary text about the Armenian genocide. The story of howthe 5,000 villagers living in seven villages in the southern corner of Cilicia had defied the Turkish order of deportation captured Werfel imagination. The 53 days of resistance and final rescue by French ships on the “Mount of Moses” (Musa Dagh) took a Biblical resonance with the use of the 40 days that would parallel the 40 years that the Jews spent in the desert before arriving in the Promised Land. Many other symbolisms and parallel may be found in a novel that was said at the time to have foreseen the destiny of the Jews in Europe. It was 1933, and Werfel’s books were among the ones burned by Nazi students. The publication of the novel in November 1933 led to its prohibition three months later in Germany by Turkish pressure; the book was also forbidden and condemned in Turkey. Meanwhile, The Forty Days of Musa Dagh became a worldwide success and translations into English and French soon were published. Hollywood’s Metro Goldwyn Mayer bought the rights to the movie, but Turkish pressure on the U.S. State Department had that project shelved, as well as several other attempts in the following years. Werfel was triumphantly received by Armenians in France and in the United States during a trip to both countries in 1935-1936. In 1938, the writer and his wife left Vienna after the Nazi occupation of Austria and settled in France. But the defeat of France to Germany in 1940 and the Nazi occupation forced them to narrowly escape to the United States. Werfel died in Los Angeles in 1945 and was buried there. By the initiative of Armenian American historian and educator Vartan Gregorian, Werfel’s remains were returned to Vienna and reburied in 1975. The Forty Days of Musa Dagh was translated into English by Geoffrey Dunlop in 1934 and became an immediate best-seller in the United States, with several reprints over the decades. However, the translation was not faithful to the German original, as Haigaz Kazarian had already discovered in 1951 in an article translated in 1963 in the Armenian Review. The equivalent of ninety pages of text had been excised by Dunlop. The recent publication of the unabridged English version of the novel (Boston, 2012), with the missing text restored by James Reidel, allows Anglo-American readers to savor this classic at a time when literary works on the Armenian genocide are quite fashionable.